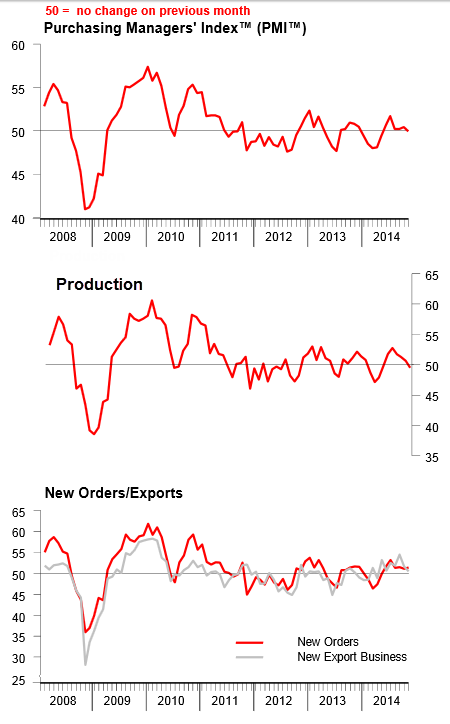 Chinese manufacturing has been wavering in and out of contraction since about mid-2011. Following a 5-month stint in positive territory, the HSBC Flash China Manufacturing PMI shows Output contracts for the first time in six months. Flash China Manufacturing PMI™ at 50.0 in November (50.4 in October). Six-month low. Flash China Manufacturing Output Index at 49.5 in November (50.7 in October ). Seven-month low. Note the cry for "more fiscal and monetary easing. It's preposterous.